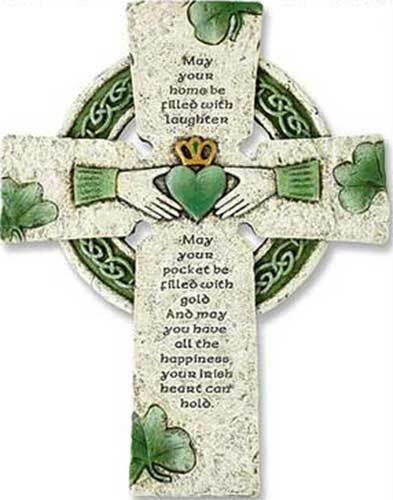 This Claddagh Celtic cross features an Irish blessing, Celtic knots and shamrocks and measures 7 3/4" wide x 10" tall with a dimensional design. The Celtic cross is made of resin that has the look of stone and it is ready to hang on your wall. The Celtic wall cross is gift boxed with the respective Irish symbols' history card, complements of The Irish Gift House.